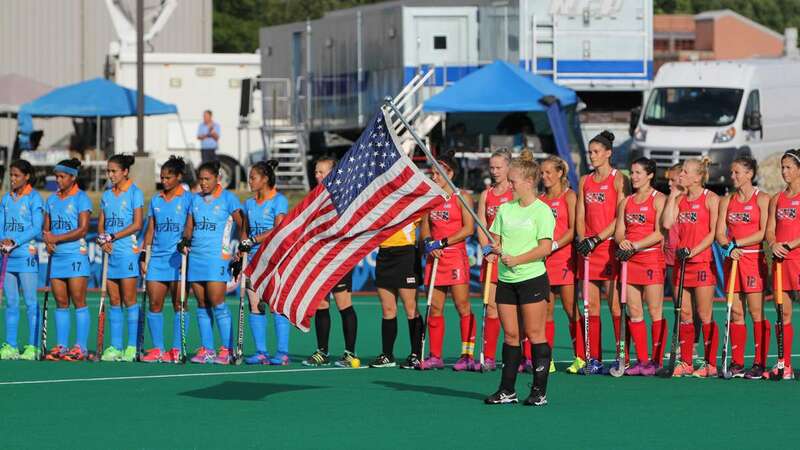 After finishing last in the 2012 Olympic Games in London, the U.S. women’s national field hockey program needed a reboot. The following year, the team packed up and moved from beachy Southern California to central Pennsylvania, in the heart of Pennsylvania Dutch country. 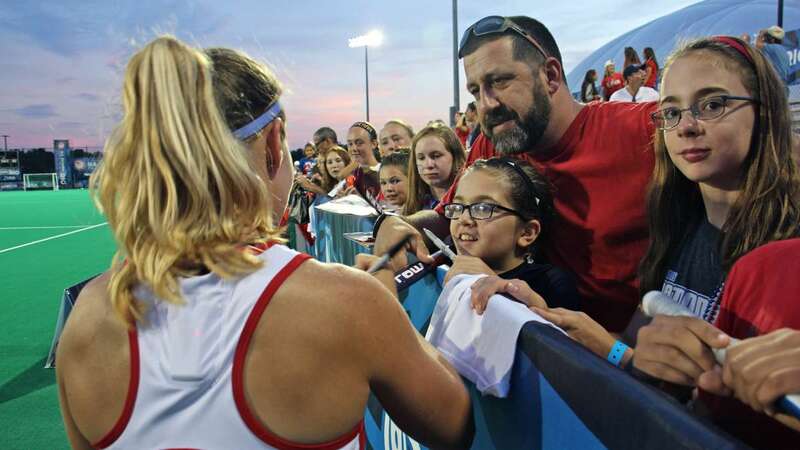 Returning American field hockey to its Mid-Atlantic roots paid off — both in the team’s rank and the its growing fanbase. Nearly 1,800 spectators isn’t a big crowd for, say, a professional football game, or even a college volleyball championship — but for elite women’s field hockey in the United States, it’s huge. 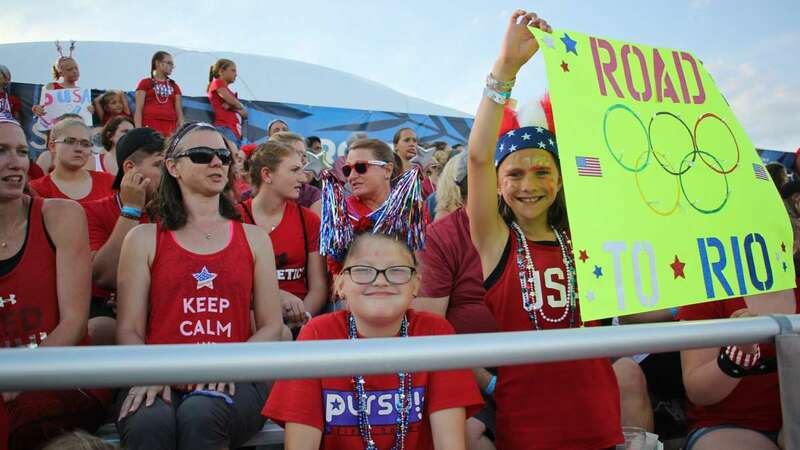 For an exposition series against the Indian women’s national team in July, the bleachers at Spooky Nook, an enormous private sports complex in Central Pennsylvania, were jammed. A sea of Team USA fans wearing red t-shirts shouted, “You got it, girl!” and “You go!” during tense play. 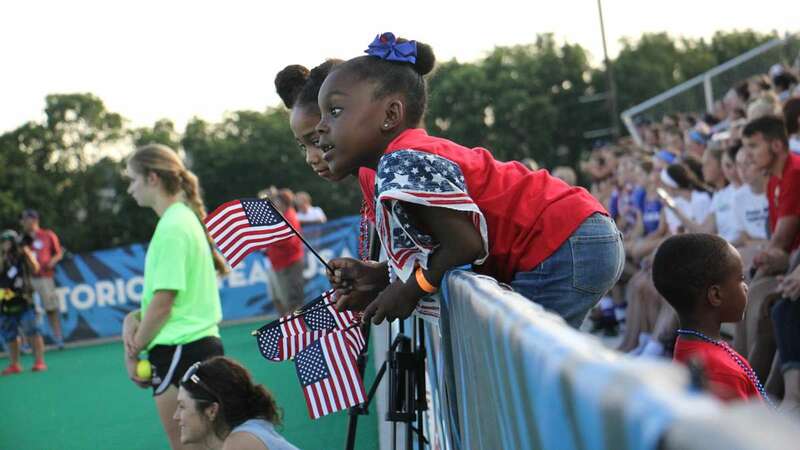 Some drove hours to Lancaster County to see the U.S. women play. “Tonight, we have a loud a full crowd,” said team manager Kelly Knapp. “That’s something we were missing on the West Coast. It was mostly just family members.” She said average attendance when the team was based in Chula Vista, California, were one-tenth the number at the exposition game. Field hockey is popular internationally, particularly in Europe, Argentina, and former members of the British Commonwealth. In the United States, a Brit named Constance Applebee introduced the sport in the early 1900s and spread it around New England and the Mid-Atlantic. 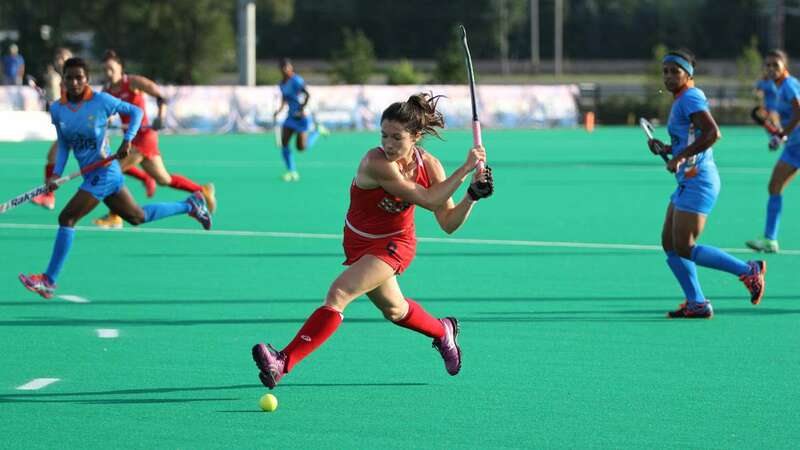 “For us to move to Pennsylvania was huge, because we’re closer to our field hockey community,” said team captain Lauren Crandall, who’s from Doylestown in Bucks County. 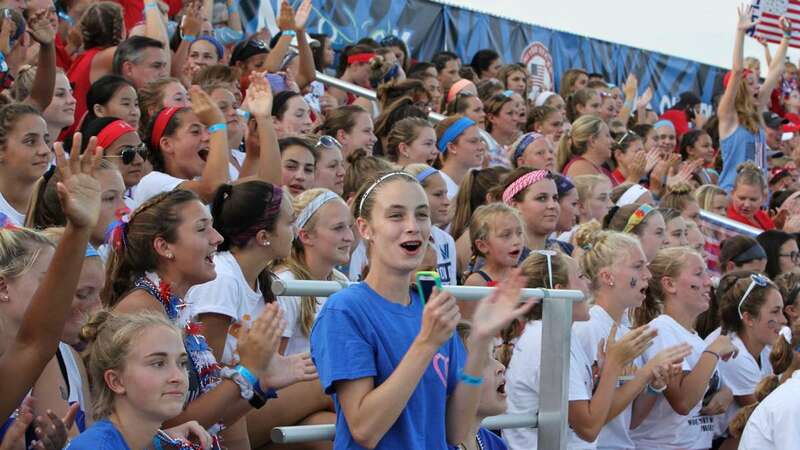 Seventeen members of the 25-woman squad hail from Pennsylvania, New Jersey, or Delaware, and club teams travel from around the region to see the team play. In addition to larger-than-ever crowds, that community provided a supportive place for team members to lick their wounds and regroup following a disappointing finish in London. 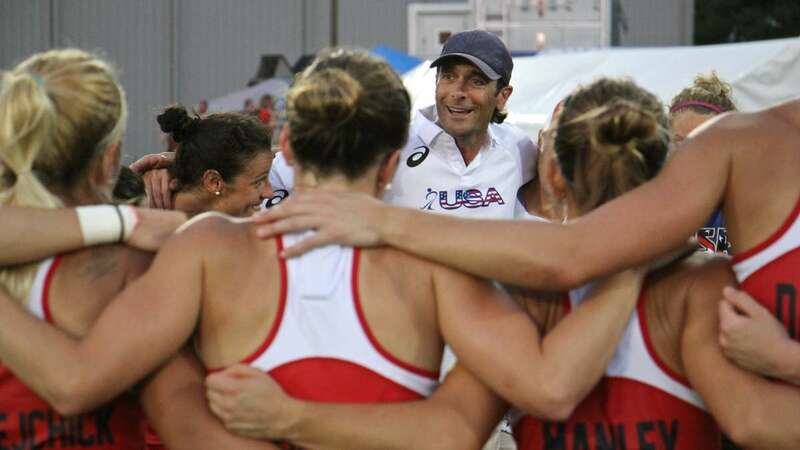 In team-culture meetings spearheaded by a new coach — former British field hockey Olympian Craig Parnham — teammates set a lofty goal: to be No. 1 in the world. Nestled away in Lancaster, the members doubled-down on training, with a focus on speed and team unity. “People ask, ‘It’s an Olympic year. Are you guys training?’ Oh yeah, we train every day for four years,” said Crandall. Most of the team lives year-round in Lancaster, with some members working for a local commercial flooring company or coaching on the side. When Sam Beiler, former owner of Auntie Anne’s Pretzels, opened Spooky Nook in 2013, he had already inked a deal to host the U.S. women’s national field hockey team until 2022. 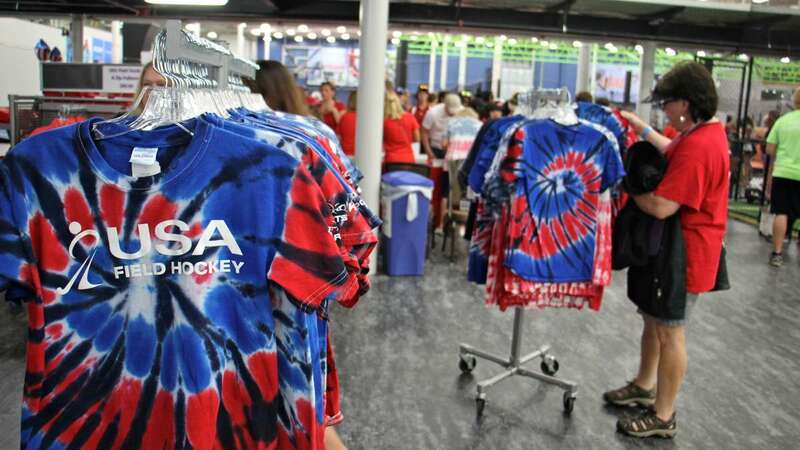 As a part of that deal, Spooky Nook branded itself the “Home of Hockey,” a savvy marketing move during a time when the sport’s international governing body — the International Hockey Federation (FIH) — has been focused on commercializing the sport. In recent years, the FIH started tailoring the rules to speed up play and make it easier for spectators to follow the game, and to televise. It’s also added more home games and travel series, establishing a regular schedule of play between national teams to encourage a growing fanbase. 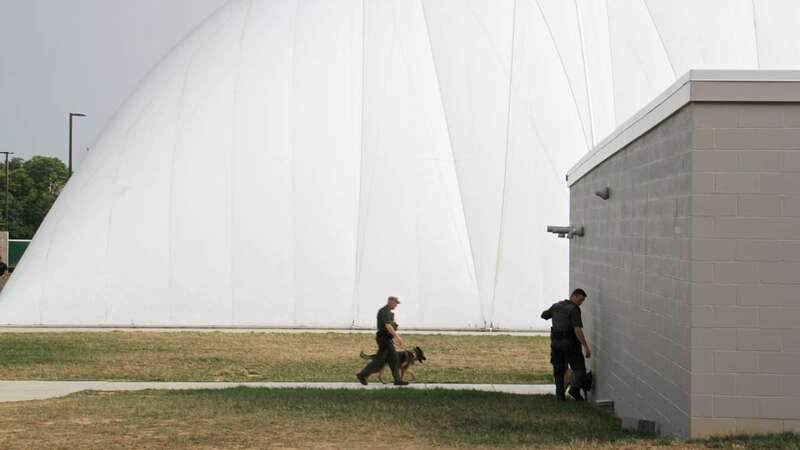 To host those kinds of games in Pennsylvania year-round, you need a dome. 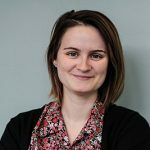 “The only other country that has that has the exact same dome is in Mannheim, Germany,” said Alyssa Matangos on a recent tour of the 700,000-square-foot facility. Spooky Nook has two field hockey fields: one indoor, and one under a giant white bubble. “It’s temperature controlled, so it always stays at least 70 degrees, and then the turf inside is watered,” she said. The water is key. 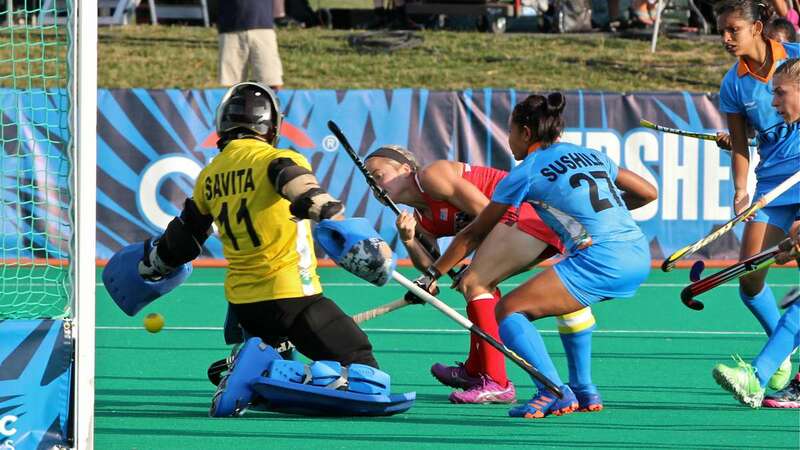 Professional field hockey is played on artificial turf that’s been hosed down to make the ball move quickly. At Spooky Nook, water cannons act like giant sprinklers, shooting jets across the field during breaks in play. Prior to Chula Vista, the team called Virginia Beach, Virginia, home. Even that far south, the pipes that watered the field would freeze in the winter, said team manager Kelly Knapp. Providing a climate-controled fields allowed the team to play where their fans — and their families — are. “That’s game-changer,” said Knapp. 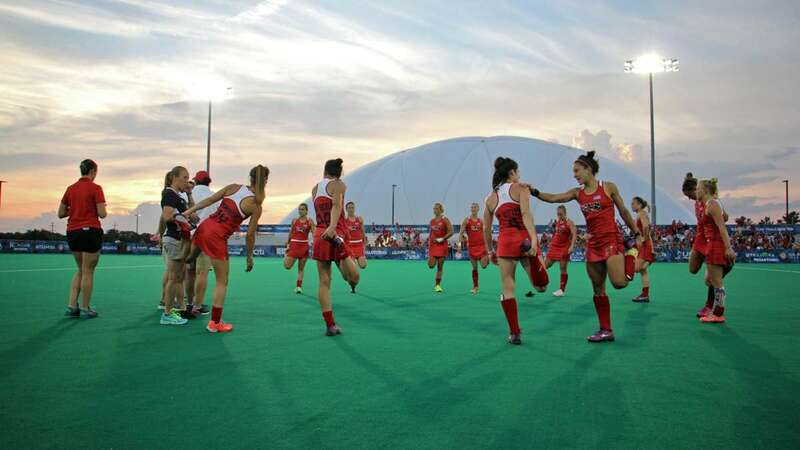 Some combination of more fan support, better training, and the new location has made a big difference: Since that last-place Olympic finish in 2012, the U.S. women’s national field hockey team has climbed to 5th in the world. 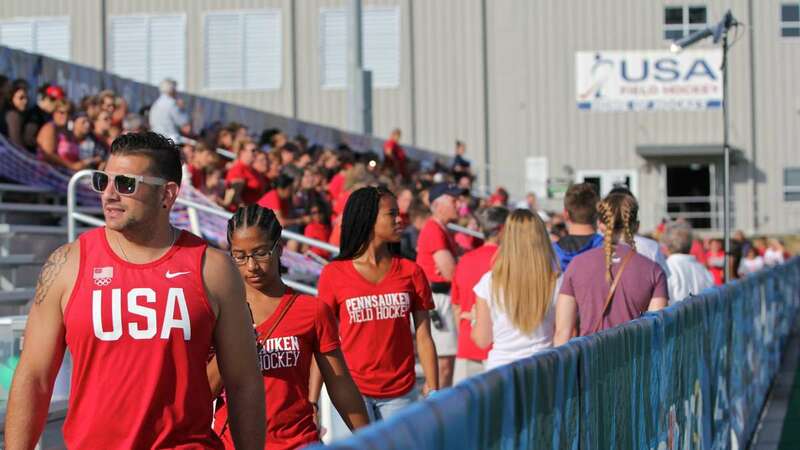 The combination of a team that wins and a location where people watch field hockey has helped with the business side, according to Adam Andrasko, U.S. Field Hockey Association member services director. 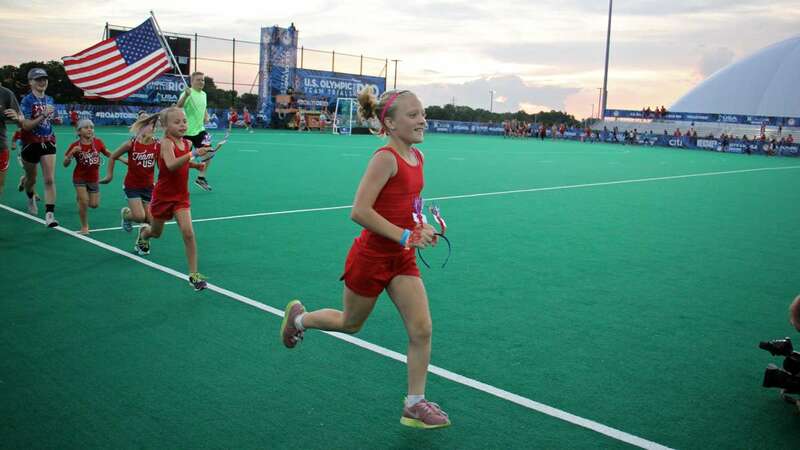 According to attendance figures provided by the U.S. Field Hockey Association, the average number of spectators for series games at Spooky Nook grew from 554 per game in May 2015 to 1,815 in July 2016. Revenues from ticket sales also skyrocketed, from $15,936 for three games in May 2015 to $61,566 over three matches last month. While the U.S. Olympic Association pays for some of the team to go to Rio and compete, funds for alternates, in case a player is injured, and additional staff are not included. Selling paper “bricks” to pave the road to Rio at home games, the team raised the money months ahead of their departure. While their are commercial benefits to growing the game, Team USA goalie Jackie Briggs said her goal is to make the sport she loves as popular as U.S. women’s soccer. 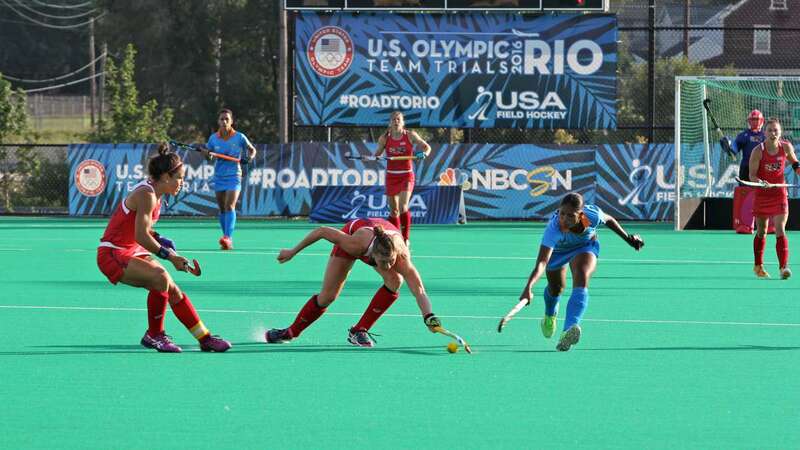 Those are two of her teammates on the U.S. women’s national field hockey team. Briggs, who grew up about 45 minutes away from Lancaster in Berks County, already had fans at the game against India. Her former coach from Conrad Weiser High School, Ann Schmidt, sat in the stand with current high school- and elementary-aged players to watch Briggs. In a word, seeing someone she had mentored go to the Olympics is “surreal,” said Schmidt, who teared up before the game. That night, she got to watch the U.S. team beat India 3-2. The U.S. team will play its first Olympic match against second-seed Argentina on Saturday. Note: This story was updated to provide more granular information about ticket sales and revenues.